The love story of Caleb and Sarah Sax continues in the second book of the Blue Hawk trilogy, which takes them to 1833 Texas (then still part of Mexico), when the hunger for free land fueled the growing populace. Inevitably, these new settlers want Texas to be an independent province apart from Mexican rule. Caleb’s family is pulled into the Mexican war, and one of Caleb’s cherished sons rides off to join the fight at the Alamo. Thinking his son has died, Caleb must contend with this terrible sorrow amid facing an old enemy who returns to once again to destroy Caleb and Sarah’s life together. Danger and tragedy lurk everywhere, but Caleb and Sarah share a love that rises above all trial and tragedy. Frontier Fires is packed with stunning and factual American history and shows how one family became crucial to the birth of Texas.­PRAISE:­“Power, passion, tragedy, and triumph are Rosanne Bittner’s hallmarks. Again and again, she brings readers to tears.­” —Romantic . . . In this fifth book of Bittner’s unforgettable Savage Destiny series Zeke and Abbie are forced to defend their children against challenges faced because of their mixed blood. More settlers come west under the Homestead Act, causing the gradual and final demise of the Cheyenne way of life. The surge of new settlers brings with it a wealthy Englishman, Edward Tynes, who builds a cattle ranch near the Monroe homestead and falls in love with Abbie, admiring her strength and bravery, and jealous of her undying love for a man who cannot give her the pampered life Tynes feels she deserves. Zeke leaves to join his warrior son, Wolf’s Blood, in new Indian wars, and for the first time Abbie’s loyalty to her husband is tested. But no man can replace the fiercely brave, strong, handsome Zeke Monroe in Abbie’s life. Climb the Highest Mountain is an action-­packed, powerful love story you will never forget, the fifth in a series still in demand years after its first publication.­PRAISE:­“Power, . . . The American Civil War plunges Zeke and Abbie Monroe into violence and separation, danger and torn loyalties. Their first-­born son, Wolf’s Blood, takes part in the Sun Dance, a tortuous ritual that initiates him into life with the Cheyenne. Then war forces Zeke to leave his family to join his white brother, Danny, in the conflict. Abbie is left to face a horrible fate at the hands of Zeke’s worst enemy while he is gone. For the first time in their beloved marriage her strong, brave, warrior husband is not there to protect her. When Zeke returns to learn her fate, the worst violence in his savage soul rages forth to seek sweet revenge. Zeke and Abbie’s love transcends loss and tragedy thrown at them by savage people in a savage land that can be tamed by only the bravest souls. 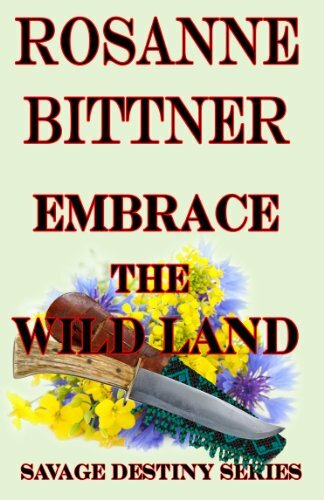 Embrace the Wild Land is the fourth book in Bittner’s Savage Destiny series, and one that has been out of print and unavailable for many years. Now you can own it through a download to your eReader! . . . 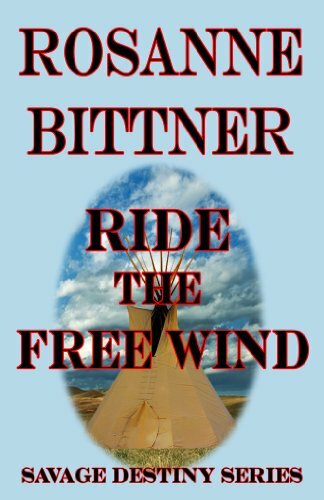 This first book in Rosanne Bittner’s popular Savage Destiny series tells the powerful love story of 15-­year-­old Abigail Trent, who is traveling west with her family; and a very rugged plainsman, Zeke Monroe, the half-­Cheyenne guide who wins Abbie’s heart as they journey through an untamed land beset with Indians, outlaws and nature’s harsh challenges. Although Zeke and Abbie come from very different worlds, violence and personal loss bring them together in unexpected ways, including a very poignant situation that involves Abbie’s little brother. By journey’s end, Abbie has changed from an innocent young girl to a strong woman whose courage and determination to survive make her the perfect woman for the sometimes violent Zeke, whose past and upbringing make him a challenge only Abbie’s love and personal faith can overcome. 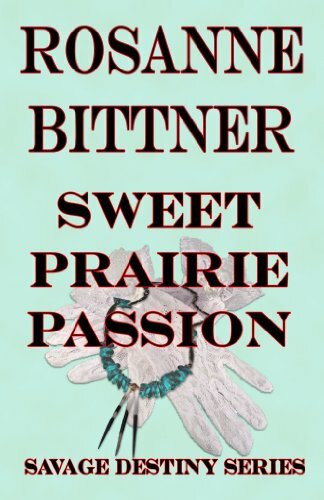 Sweet Prairie Passion is the beginning of many more stories about this unforgettable couple and their life together as they face the perils of settling . . . The second book in Rosanne Bittner’s bold Savage Destiny series continues the love story of Zeke and Abbie Monroe. For the first five years of her marriage Abbie lives among the Cheyenne, learning their customs and beliefs and giving birth to a son who is as wild and free as his Native American family, and a daughter who will one day be forced to choose between her Indian and white blood. Through real historical events involving the government and Native Americans, Zeke and Abbie cling to one another through danger and torn loyalties. This story vividly depicts the “right” and “wrong” of both sides in the bloody conflicts that arose as the West was settled. Through it all Zeke strives to reach the point where he can provide his Abbie with a real “white woman’s “ home, where she can set a prized family heirloom, a mantle clock, over a fireplace in a house with real wood floors and a cooking hearth. Though his heart is as wild as his Cheyenne blood, Zeke will give up that life for . . .